Abundant sunshine. Warmer. High 73F. 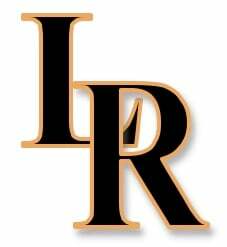 Winds NW at 5 to 10 mph..
After enduring their worst performance of the season in Thursday's 68-55 Region 6-AAAA tournament semifinal loss to Southeast Whitfield, the LaFayette Ramblers responded with one of their best performances of the year on Friday. Facing Walker County rival Ridgeland in the tournament's third-place game, the Ramblers connected on five 3-pointers in the first quarter, led 21-6 after the first eight minutes and rolled to a 76-35 win over the Panthers back at Southeast High School. Both teams will play in the state tournament this upcoming weekend. LaFayette (24-2), who will be the No. 3 seed from the region, will travel to the No. 2 seed from Region 7, while No. 4-seeded Ridgeland (4-24) will go on the road to take on the champions from Region 7. That region is scheduled to complete its tournament on Saturday. "We're going to be a No. 3 seed, but ability-wise, we still view ourselves as a No. 1 seed," Ramblers head coach Hank Peppers said. "Thursday night was kind of a perfect storm. We shot it really bad and Southeast shot it really well. It is what it is, but we responded today like champions do. "After a loss, how you respond is as important as anything. It's a gauge for your team and I was very proud of them. The effort was great today." The Ramblers hit 3-pointers on their first three shots of the game against Ridgeland and finished with 13 on the night. They led 33-18 at halftime, 51-24 after three quarters and were up 67-30 with 4:30 to play when Peppers emptied his bench. Alex Kelehear had 23 points to lead LaFayette. Rylan Russell drained five 3-pointers and finished with 15 points, while Dee Southern added 11. Jaylon Ramsey, Andrew Pendergrass and Asa Deal had six points apiece, followed by four from DeCameron Porter, three by Aidan Hadaway and two from Tyrese Marsh. "We're going to go into the state tournament and just continue to be who we are," Peppers added. "We had some defensive lapses on Thursday that we were able to clean up tonight. We're excited to be able to keep playing and we're just going to enjoy the ride." Fred Norman and Ethan Moyer had 11 points each for Ridgeland. Kobe Lewis finished with six points off the bench. Chris Turner, A'zavier Blackwell and Riley Harrison had two points apiece, while K'yan Clark added one point.